Did you ever think God wants to bless you with work?Work has become a dangerous place. With employee violence, injuries, and even deaths on the rise, it's no wonder we're filled with stress, apprehension, and anger. 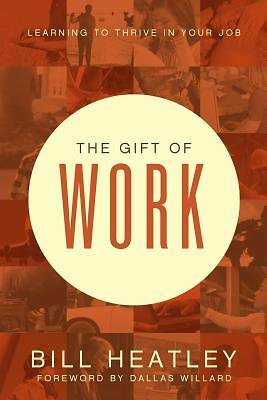 That's not God's plan for work though.In The Gift of Work, author Bill Heatley couples wisdom from several great thinkers of faith with spiritual disciplines that can easily be practiced in the workplace. Your ideas about work will be shattered and then rebuilt to help you understand God's divine purpose.Fill your work with the love, joy, courage, and power God intended. Become a blessing and be blessed in return.